How many AIHB members should participate in a hearing and who votes? Who else attends an AIHB hearing? What is the role of the student’s advisor? How does one deal with prospective witnesses and do they have to attend the hearing? Can new charges be introduced? How does the Chair handle appeals of procedural violations? How does the Chair handle an appeal of a guilty finding? How does the Chair handle an appeal of a penalty? What factors do Boards use in determining penalties? What penalties might the AIHB recommend? What grade should be recorded if a case is pending at the end of the semester? What if a JCC is not available to assist the student? Should a board hold separate hearings when more than one student is involved? What if the instructor cannot appear in person at a hearing? Under what conditions should AIHB members recuse themselves? What if it is too late in the semester to hold a hearing? What if the student transfers out of the college before a hearing can be held? How should the Chair address procedural questions? What is the Chair’s role in the hearing? What if the chair cannot attend a hearing? Should a note of pending action be placed on a transcript? Who authorizes notes of violations on transcripts? When a student is suspended or expelled, what goes on the transcript? How can a note about a violation be removed from a transcript? What records are kept of Board meetings? Who has the right to know that a student has been charged with or found guilty of a violation? Under what conditions can a student’s record be cleared of a violation? However, that is only a model hearing board, and the dean has flexibility in creating and maintaining an AIHB. Because of the challenges in obtaining a enough members for a hearing (see below)—because of scheduling conflicts and the possible need for members to recuse themselves—we suggest that the AIHB include a larger number of faculty and students, perhaps 5-6 faculty and 5-6 students. How many AIHB members should participate in a hearing, and who votes? The Code states, “At least two-thirds of the voting Board members shall be present at every hearing, including two students and two faculty members.” This is two-thirds of the model AIHB mentioned in the Code. Even if a board has more members, the quorum required at a hearing consists of two students and two faculty members. Additionally, the chair (or the chair’s delegate) and the record keeper (or the record keeper’s delegate) must be present. The Code also states that an AIHB hearing may proceed in the absence of a quorum if both parties (the instructor, if present, and the student being charged) agree in writing to waive the quorum. The students and faculty members on the board vote; the chair votes only in the case of a tie vote. The board chair, board members, and the record keeper attend the hearing, as explained above. The code says that if the AIHB hearing the case is different from the AIHB of the student’s college, then a faculty member and a student from the AIHB of the student’s college should attend the hearing. The code says that these two people may be substitutes or additional people, which implies that they have voting rights. The instructor bringing the charge, the student(s) in question, and the independent witness from the primary hearing, if one was held, attend the hearing. Beyond these individuals, the instructor or the student being charged may bring witnesses—students, faculty, or staff—who might have information to bear on the case. Most often the advisor will be a member of the university community (e.g, a Judicial Codes Counselor or faculty member), but the student may choose as an advisor a parent or an attorney. Details concerning the advisor’s role are presented below. The AIHB chair may allow others to attend if they have information to bear on the case. The Code reads, “The Board may solicit outside advice at the discretion of the chairperson.” Examples are the Director of Student Services, the Registrar, an information technology specialist, and other administrators and staff members. The AIHB chair may invite University Counsel to attend. University Counsel’s presence would be especially appropriate if the chair believes that the case presents complex or novel issues and that Counsel may be helpful in resolving those issues. The chair should ordinarily invite University Counsel to attend if the student is accompanied by an attorney or the chair believes that litigation may ensue. The presence of Counsel to assist the AIHB will help to avoid error that might be used to challenge the AIHB’s decision in court and reinforces the university’s commitment to stand behind the instructor and the AIHB in the face of a threat of legal action. If a student appears at a hearing with an attorney, the chair may stop (or adjourn) the hearing and arrange for the presence of University Counsel. A student brought up on academic integrity charges may be accompanied by an advisor. In its discussion of AIHB hearings, the Code reads, “The student’s advisor may assist the student in the presentation and questioning.” But the Code remains silent about the role of the advisor, what exactly the advisor is permitted to do, and who the advisor might be. Absent specific Code procedures concerning the advisor, an advisor’s role in an AIHB hearing is limited. Hearings are not legal proceedings but, instead, are part of the academic and educational arena—i.e. opportunities for members of the academic community to investigate and then deliberate with respect to alleged violations. Therefore, excluding exceptional circumstances, the AIHB expects to hear from students. Students present their own case. An advisor simply advises; an advisor does not conduct a defense or an argument on a student’s behalf. In short, the student’s advisor may accompany a student but should not expect to be permitted to speak on behalf of the student. Before the hearing begins, the advisor may assist by helping the student to prepare remarks, assemble evidence, and prepare a written statement for the student read during the hearing. During the hearing, the advisor may assist by whispering to the student, writing notes to the student, or otherwise providing private assistance—but not speaking on the student’s behalf, unless permitted by the chair. An advisor would likely be permitted to speak only in exceptional circumstances: e.g. if the student has a speaking disability or serious second-language challenges. How does one deal with prospective witnesses, and do they have to attend the hearing? The chair should try to arrange to have all witnesses available during a hearing, so that the witnesses can present their accounts, the student or instructor can respond, and the AIHB can determine how much weight to assign to the witness’s account. An instructor or chair might best proceed by inviting prospective witnesses to attend and explain why their presence is important. If the prospective witnesses do not want to attend, the instructor or chair should use persuasion, rather than coercion, to seek compliance. If the instructor or AIHB chair is unsuccessful in eliciting attendance, the second best option would be to obtain a written statement from the prospective witnesses. Because the Code does not specify that a student being charged has the right to confront witnesses who provide evidence, the chair may allow either party to introduce evidence from witnesses who are unable or unwilling to be present. If prospective witnesses decline, the case may proceed in their absence and in the absence of their written statement. The instructor or chair may summarize the testimony of absent witnesses. If prospective witnesses request anonymity, the instructor or chair should try to persuade them to reveal their identity, in order to be most fair and forthcoming to the student being charged. Testimony from an anonymous witness should be presented only in extraordinary circumstances. No matter how information from witnesses is presented during an AIHB hearing, participants at the hearing should be given the opportunity to respond. Based on the witness information and the responses, the AIHB should exercise their own judgment as they determine how much weight to assign to the witness account. The proceedings of an AIHB hearing are absolutely confidential. At no point should board members discuss information pertaining to the hearing with anyone. At the conclusion of the hearing all materials (notes, handouts, etc.) are to be collected by the records keeper. Each AIHB hearing deals with a specific set of charges. New charges should not be introduced and considered during the hearing. A student’s reaction in response to the charges, such as lying during the primary hearing or AIHB hearing (or, other hand, being truthful, and accepting responsibility) may be used in determining penalties. However, if information emerges that the student or other students) committed other unrelated violations that may warrant prosecution, the AIHB should deal with them after the hearing. It is best that the chair of the AIHB meet with the student to discuss the student’s concerns. Based on the discussion, the chair has several alternatives. 1. If chair believes that the student’s allegations have no merit, the chair can suggest this to the student and explain why. The explanation should not pressure the student to give up his appeal. If the student still wants to proceed with the appeal, the chair can choose from the options below. (a) The hearing may begin with a discussion of the student’s allegations of improper or unfair procedures. The chair may state the allegations and ask the instructor to respond, and a discussion among instructor, student, independent witness, and AIHB members may ensue. At some point, the AIHB will want to enter into an executive session and decide what to do. Some possibilities are: (1) dismiss the case because of the egergiously unfair practices of the instructor, (2) agree that the instructor’s practices were inappropriate but not so much as to prevent the case from proceeding, (3) agree that the instructor’s practices were not improper or unfair. (b) Since the Code indicates that the AIHB hears all cases de novo, simply proceed with hearing the case as presented by the instructor. If the student contests the guilty finding, the AIHB hears the case de novo. How does the chair handle an appeal of the penalty? If the student is appealing only the penalty, the chair should start the hearing by briefly summarizing the case and the primary hearing outcomes and ask the student whether the student admits guilt. If the student does not admit guilt, the hearing proceeds as explained in the above question. The purpose of this step is to ensure that the student really does admit guilt. If the student admits guilt, the hearing can proceed to the question of the penalty, starting with asking why the student believes the penalty is too harsh. Whether the student was subject to pressure or extenuating circumstances beyond the student’s control at the time of violation. The board may recommend grade-related penalties and non-grade-related penalties. The lowest penalty the board may recommend is no penalty; the highest penalty, expulsion from the university. As a grade-related penalty involving an assignment, the board may recommend no credit for the assignment, partial credit, or a reduction in the grade for the assignment. As a grade-related penalty involving the final course grade, the board may recommend that the instructor assign an F in the course or reduce the student’s letter grade (e.g. A to A-, or A to B, or A to C). The chair communicates recommendations for non-grade-related penalties to the dean of the student’s college, who has the authority to exact the penalty. Although the dean is not bound by the AIHB’s recommendations, the Code makes clear that it would be unusual for the dean to ignore or modify the recommendations: “In all but the most unusual circumstances, it is the expectation that the findings and recommendations of the Hearing Board will be upheld by the dean.” A dean who wants to ignore or modify the recommendations will generally consult with the AIHB before doing so. Non-grade penalties generally consist of one or more of the following: community service, suspension for a semester or more, required counseling, expulsion from Cornell, and a transcript notation concerning the academic integrity violation. Read this note for information regarding notes on transcripts. The student has given written notice that an appeal will not be forthcoming. As soon as one of these three conditions is satisfied, the instructor may change the INC grade. The Chair should attempt to schedule a hearing for a student so that t he student’s chosen advisor can attend. However, this is not always possible. Students should be advised that the JCC is a resource but is not guaranteed to be available for a particular hearing. The student may, of course, bring another advisor to the hearing if the JCC is not available. Generally, if a student or instructor requests an AIHB hearing for a student, or if the dean summons a student to a hearing because of multiple violations, the hearing will involve only the charges against that student. The AIHB chair might consider holding a single hearing for several students if the charges against the students arise out of the same conduct or nucleus of common facts; that is, the students are charged with the same academic integrity violation. If a student objects to a joint hearing and gives evidence that a joint hearing would be unfair or cause prejudice, the chair should schedule separate hearings. The chair should generally grant a request for a separate hearing unless there is a compelling reason not to do so. The chair could also convene the AIHB in executive session and ask the board to rule on a student’s objection. During the deliberation phase of a joint AIHB hearing, the AIHB should consider individually the guilt or innocence of each student. If the AIHB finds the students guilty, the AIHB should consider individually the sanctions against each student. The instructor may not be able to attend a hearing to bring charges against the student. For example, the instructor may be ill, may be on leave, may have left the university, or may have passed away. The chair may postpone the hearing until the instructor can appear. In doing so, fairness to the student should be considered; the student deserves a timely hearing. The instructor could participate in the hearing over the telephone or using a video link. The instructor could ask a colleague to present the case. The chair may ask the instructor to write up the charges. With a written set of charges (or even without them) the chair could ask another faculty member to present the case. Or the chair could decide to present the case, in which case the chair would need to find another person to act as chair. The chair may consult with the AIHB, explain the unusual circumstances, and ask them how they would like to proceed. Board members, including the chair, should recuse themselves if they cannot be objective and fair. But having prior knowledge of the facts of a case does not necessarily prevent them from being objective and fair. Similarly, a relationship with the instructor or student involved in a case would not necessarily be disqualifying, unless the relationship is likely to prevent the board member from considering the case based exclusively on its merits: i.e. on the evidence, witnesses, and arguments presented during the hearing. Given the relatively small community within each college, board members might be familar with the instructors and students who appear before them in AIHB proceedings. Hence, the instructors and students who are party to a case must rely on the good faith of the board members to determine whether their relationships are likely to bias them one way or another. The chair should consider asking student board members to recuse themselves if the case before them (1) involves an instructor for whom they serve as a teaching assistant or research assistant or (2) involves a student with whom they have a special relationship (e.g. a current or former romantic relationship, a current or former roommate, a fraternity brother or sorority sister). The chair should consider asking faculty board members to recuse themselves if the case before them involves (1) a student who has supported the faculty member as a teaching assistant or research assistant or (2) involves a faculty member who may serve on a review committee that may be considering the faculty board member’s retention or promotion. To enhance the likelihood that an AIHB hearing will still have a quorum if one or more board members recuse themselves, the chair may, when trying to schedule a board hearing, identify the instructor and student(s) involved. The chair is bringing the charge against a student. The chair’s relationship with either the student or the instructor would not allow the chair to conduct the hearing without bias for or against either party. Summon the AIHB in executive session and ask them to decide how to proceed. What if a case comes before the AIHB too late in the semester to hold a hearing? If a case comes before the AIHB too late to schedule a hearing before the end of the semester, the chair should convene the hearing as early as possible after the break ends. The hearing may take place shortly after classes are scheduled to resume during the ensuing semester—or even before, as long as the principal participants are available. In exceptional cases in which the student is on leave for a semester or more, the chair may confer with the student and either wait until the student returns or, with the student’s consent, hold the hearing without the student’s presence or with the student participating by phone. Every effort should be made to provide the student with a fair hearing. If the student has transferred to another college within Cornell, the chair should still schedule the hearing. The responsibility for hearing the case still rests with the AIHB of the college that was asked to hear a case. In the interim, the chair should notify the Director of Admissions and the AIHB of the new college that the student faces pending academic integrity charges. After the hearing, the chair should inform the Director of Admissions and the AIHB of the outcome. If the student has left Cornell, the chair should decide whether to hold a hearing and when the hearing should take place. In circumstances involving egregious misconduct, the university retains discretion to schedule and hold hearings even after a student’s graduation. 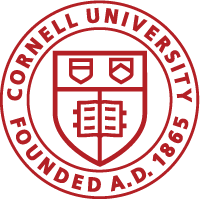 If the chair decides not to hold a hearing, the chair should notify the student that the matter will be addressed should the student attemps to return to Cornell in the future and that a notation “academic integrity matter pending” will be placed on the student’s record. If the student wishes to clear up the matter in such circumstances, the chair should schedule a hearing. Procedural questions may be raised in many circumstances, e.g. by instructors preparing for a hearing, students preparing for a primary or board hearing, or board members before or during a board hearing. In determining how to proceed, the chair should first review the Code, which presents the policies and procedures that guide all members of the Cornell community. The chair’s actions and recommendations should always be consistent with the Code. Determine past practices, if possible. Exercise discretion: to determine the Code’s intent by using the Code’s language and underlying principles. As the chair analyzes the Code to reach a conclusion, the chair may consider what would be most fair to all parties, as well as what would be expedient (i.e. without undue cost in time for the student, instructor, and other individuals involved). Consult with other AIHB chairs (including the chair’s predecessor), especially those with more AIHB experience. Consult with the Dean of Faculty. Ask the AIHB to rule. This option would be especially useful in responding to requests that emerge from a student (or an advisor who is assisting a student) prior to or during a board hearing. To avoid the risk of appearing arbitrary or capricious, the chair can convene the AIHB in the equivalent of an executive session (i.e. with only AIHB members present), ask them to the review the relevant Code guidelines, and have the AIHB determine how to proceed. Once the AIHB rules, the chair can reconvene the entire group, explain the AIHB’s ruling, and apply it. The Code says, “The chair shall preside over the hearing to ensure that no party threatens, intimidates, or coerces any of the participants.” The AIHB chair has latitude in conducting the hearing to ensure that it is fair and orderly. The chair may cut short statements that may be construed as harassment or intimidation. The AIHB chair should ensure that neither party presents evidence without the other party present. If the AIHB needs clarifying information during its deliberations, the chair should call back both parties. Should procedural questions arise during a hearing, the chair may call a recess to consult with members of the AIHB or university counsel. All other participants should leave the room and wait to be called back. During the deliberation by the AIHB, the chair should avoid expressing an opinion on the case until and unless the chair must cast a tie-breaking vote. The chair may clarify matters as appropriate, but in an impartial manner, so as not to persuade the AIHB to decide in the favor of a particular party. The chair should strive to insure that information irrelevant to the case at hand is not introduced during the hearing. A chair who cannot attend a hearing should arrange for a colleague to act as chair for the hearing. Ideally, the acting chair should be an experienced board member, a former AIHB chair, or a former member of the AIHB. The chair should meet ahead of time with the acting chair to review the case as well as the procedures for conducting an AIHB hearing. This record has been restricted due to a pending academic integrity action. The note of pending action should be placed on the transcript even if the penalty involves only the grade in the course, because even that penalty can be appealed to the dean. The AIHB does not have the authority to impose a penalty. The AIHB can only recommend that an instructor or the dean impose a penalty. Therefore, if the AIHB recommends to the dean that a note be placed on a student’s transcript, the note will be placed on the transcript only by order of the dean, usually after the appeal process is complete. For expulsion, the standard language normally used for expulsion should be used. The AIHB may recommend other wording. Unless the AIHB has specified that the transcript notation should include a reference to an academic integrity violation, the transcript notation should not indicate the reason for the leave or expulsion. The transcript notation may not be removed even if the student later rejoins the university, unless the AIHB has given instructions for such removal. As a penalty, a note concerning a violation will be placed on a student’s transcript if the AIHB recommends it and the dean accepts the recommendation. If the penalty does not explicitly state when and how the note can be removed, the note should not be removed. For example, the AIHB may set an explicit date for its automatic removal. Or, the AIHB may state the time at which the student may petition the AIHB for its removal and perhaps the conditions under which its removal will be allowed. The student must petition the current AIHB of the college that placed the notation on the transcript. The interpretation of the Code, is that no other college’s AIHB has the authority to remove the notation. The board may grant the request. The chair will contact the Registrar about removing the notation from the transcript and will inform the student of the decision. The board may reject the request. The chair will inform the student of the decision. The board may reject the request but ask the chair to encourage the former student to re-petition after a particular period of time has passed. Nothing in the Code prescribes how frequently a student may petition to have a transcript notation removed. However, barring extraordinary circumstances, it would be unusual for the board to consider a petition from a student more than once unless the board that rejects a petition specifies in its decision that a petitioner may appeal again. What records are kept of proceedings? The Code specifies that a non-voting record keeper should attend each board hearing and be responsible “for keeping clear and complete records of the proceedings”. Identification of participants in attendance. Identification of witnesses who testify. Documents offered by the parties and reviewed by the AIHB. The specific charges the AIHB considers when it votes. The decisions the AIHB makes with respect to each charge and the penalties recommended in the event of a guilty finding. In addition to these records, the chair may ask the non-voting record-keeper to take informal notes during the course of the hearing: notes designed to help the chair to lead subsequent deliberations and to communicate the hearing results to all appropriate parties. However, such notes are not intended to be minutes of a board hearing and are designed exclusively to assist the chair. AIHB proceedings are not civil or criminal trials but, instead, are academic and educational proceedings. To avoid a chilling effect on the academic dialogue and to maintain the relative informality of the proceedings, no minutes or verbatim, audio, or video recordings are kept of board hearings. Of course, participants may take notes. If a chair believes that a student or the student’s advisor may wish or attempt to record the proceedings, the chair should instruct the student or advisor not do so. A student who is charged with or found guilty of a violation is free to discuss the case with anyone. Others who participate in the AIHB proceeding should respect confidentiality with regard to the student, whether the student is found guilty or not. The Code does not define “legitimate educational interest”, and until there is further clarification, we suggest being conservative about what it means. Once a student has exhausted appeals to the AIHB and the dean, the finding of guilt of an academic integrity violation can be undone only by the AIHB. A dean may not vacate a guilty finding, even if a student withdraws from the university for medical or other reasons. If extraordinary circumstances apply that accompany a request to vacate a guilty finding, someone should explain the circumstance to the AIHB and the AIHB should handle the request. The record remains indefinitely among the academic integrity records housed by the college’s AIHB record-keeper unless the finding of guilt is overturned by the AIHB. The AIHB can overturn a prior finding of guilt during an appeal hearing or when the dean returns a case to the AIHB for reconsideration (perhaps in response to a student’s appeal to the dean). The instructor may decline to meet with the student and, instead, encourage the student to appeal to the AIHB with the additional evidence. The instructor may convene a follow-up primary hearing to consider the new evidence. If the instructor is not persuaded by the new evidence, the instructor may encourage the student to appeal to the AIHB with the additional evidence. If the instructor is persuaded that the guilty finding should be overturned, the instructor should forward the matter for review and approval by the AIHB, with a statement setting forth why the board should overturn the earlier finding.